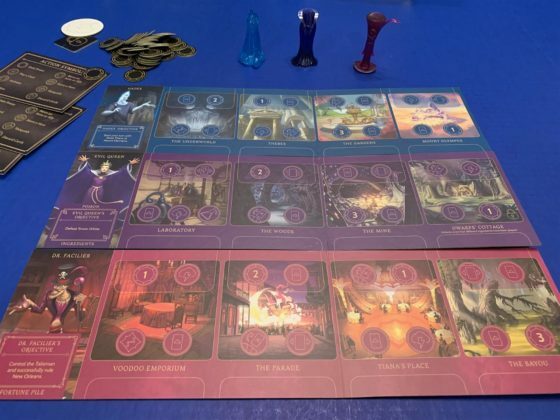 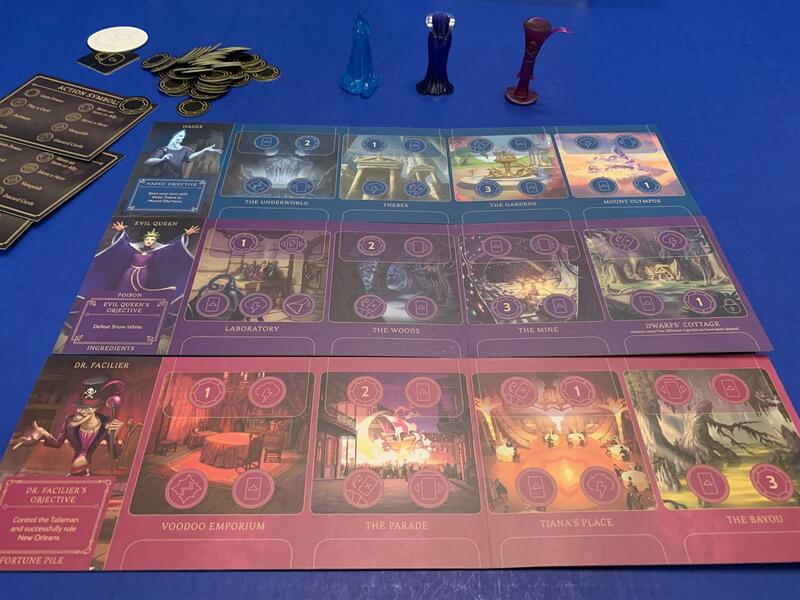 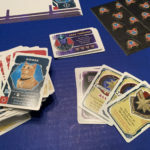 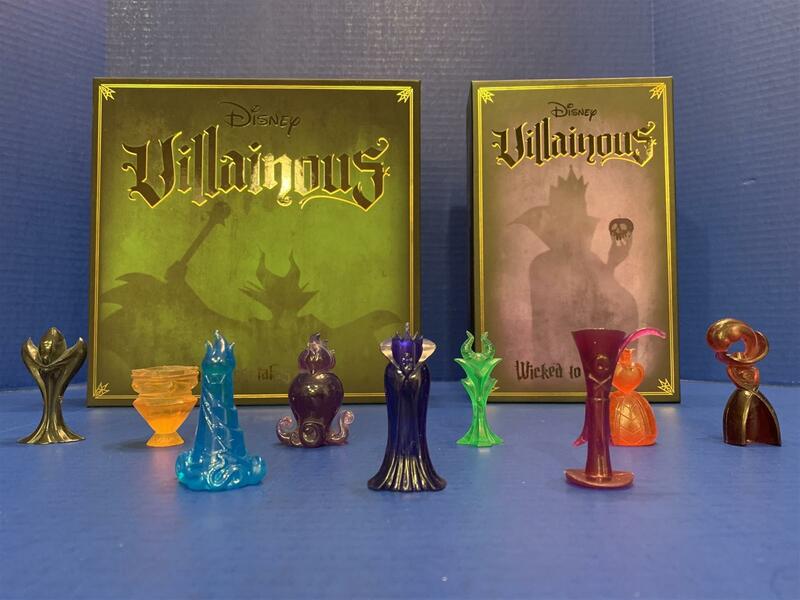 Wonder Forge’s hit board game Disney Villainous came out last summer, pitting players against each other as one of Disney’s most iconic villains. 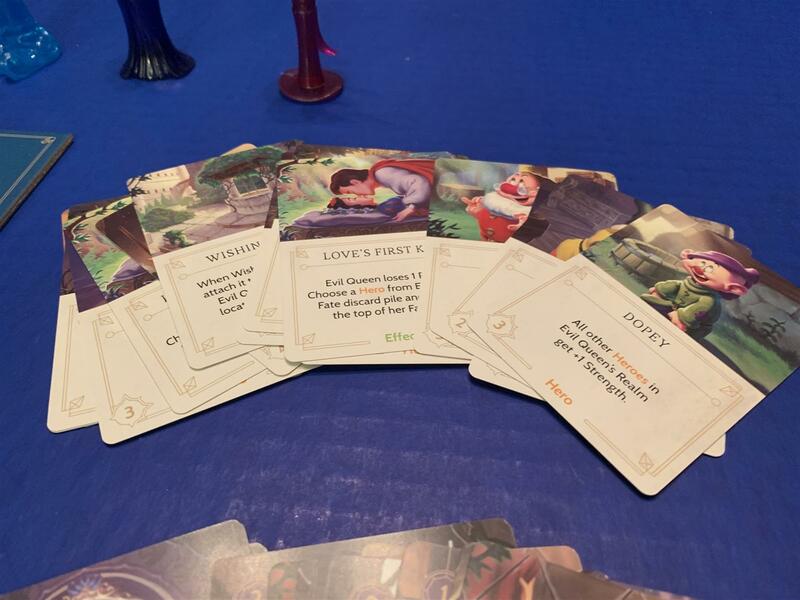 Six characters were included in that release and at Toy Fair earlier this year, Wonder Forge announced an addition to the game. 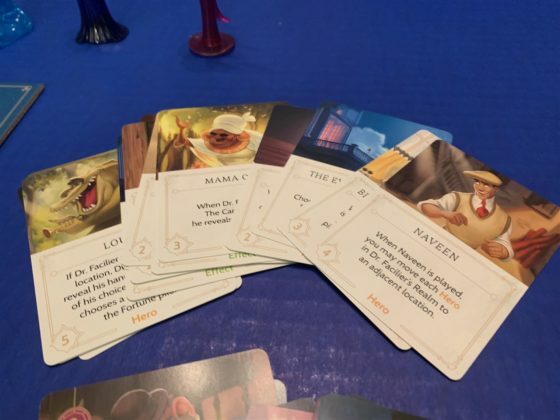 Disney Villainous: Wicked to the Core adds three characters to the game and can be used as an expansion, but can also be played on its own. The Evil Queen, Hades, and Dr. Facilier join the gang of Disney Villains, but the rules of the game are the same as before. 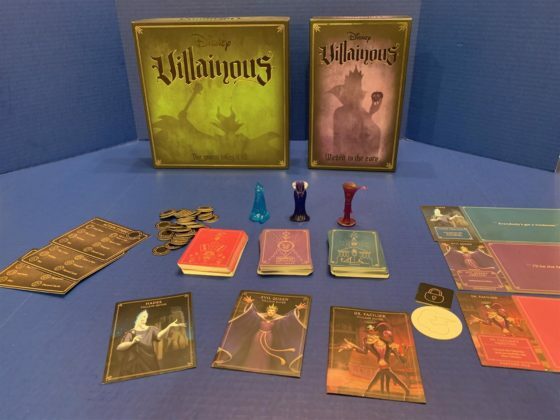 Rather than a traditional large board, this game uses three small boards for each villain and two decks of cards to be used independently. 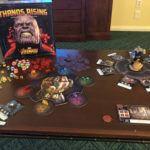 There are no die, but each player receives a uniquely themed pawn which they can freely move to a different location on their board once during their turn. 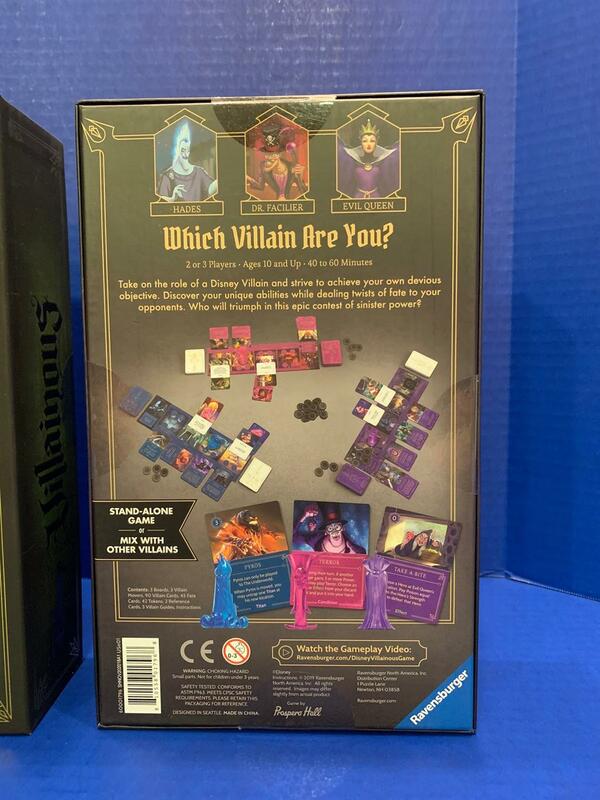 They must always have four cards from their villain deck in their hand, which they can play during their turn according to the symbols in that location. 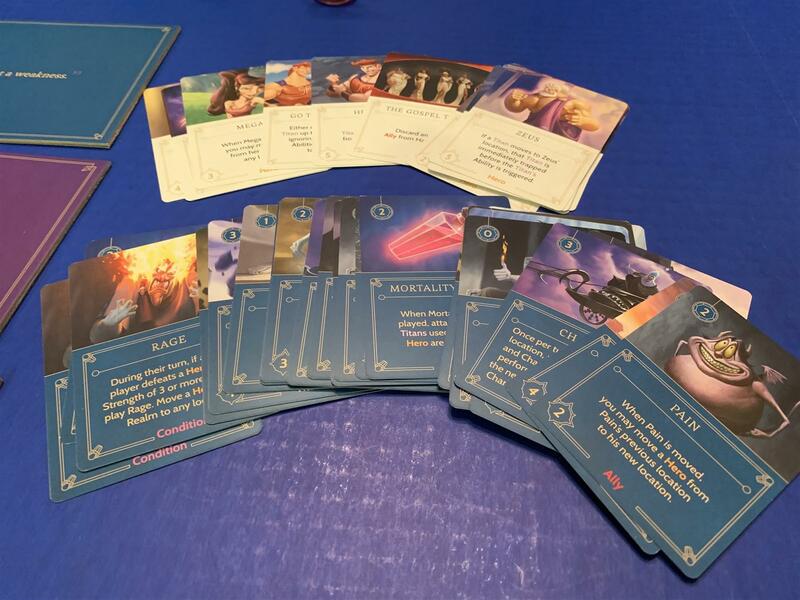 Their fate deck is for their opponents to use when they activate effects from their villain deck or are in a location where they can twist another player’s fate. Winning the game is different for each character, but you want to be the first to win to beat everyone else. The Evil Queen needs to cast spells to unlock one of her locations, the Dwarf’s Cottage, and must then confront Snow White there. 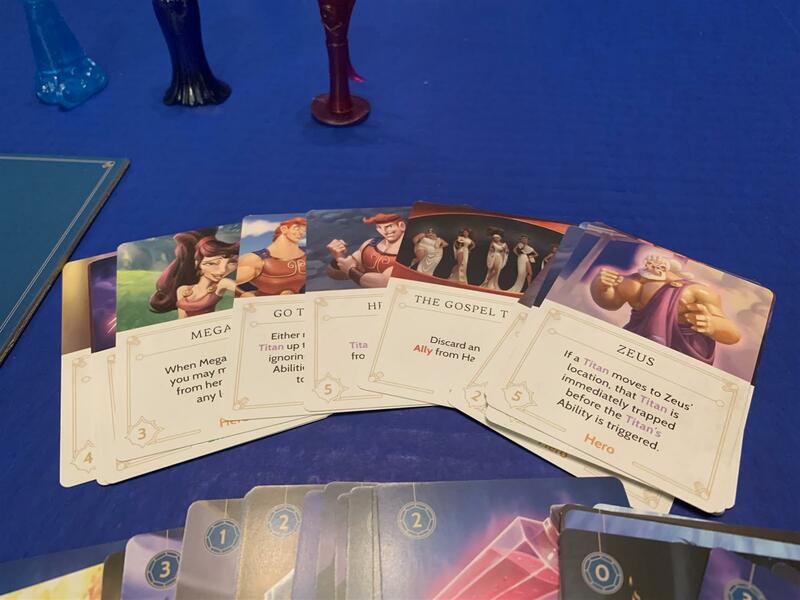 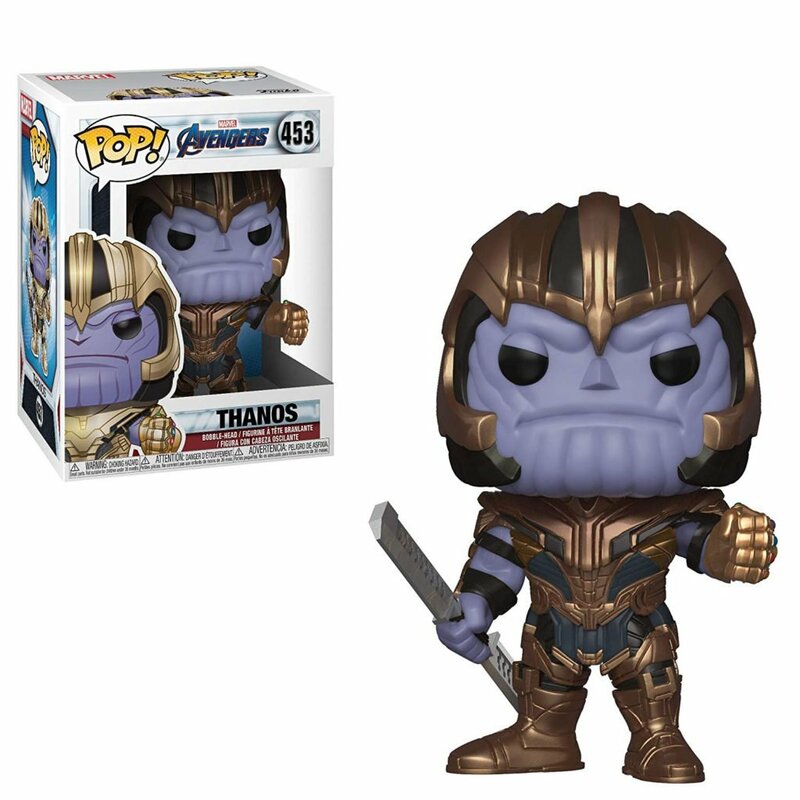 Hades needs to move three titans to Mount Olympus and defeat heroes along the way. 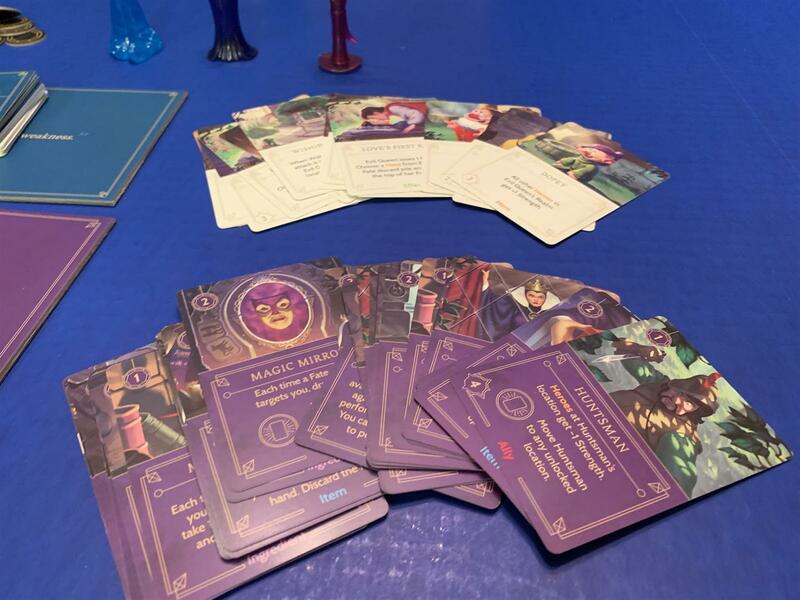 And Dr. Facilier must find the Talisman card and play it on New Orleans against the odds of his various curse cards. 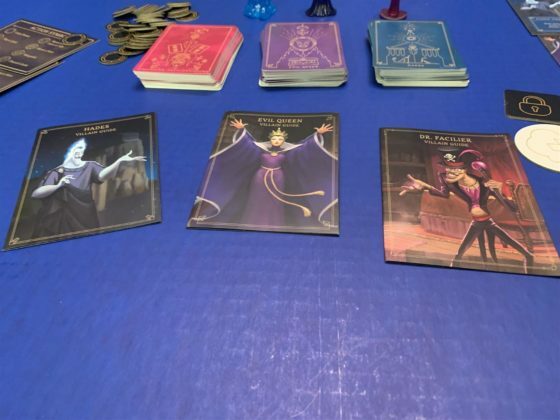 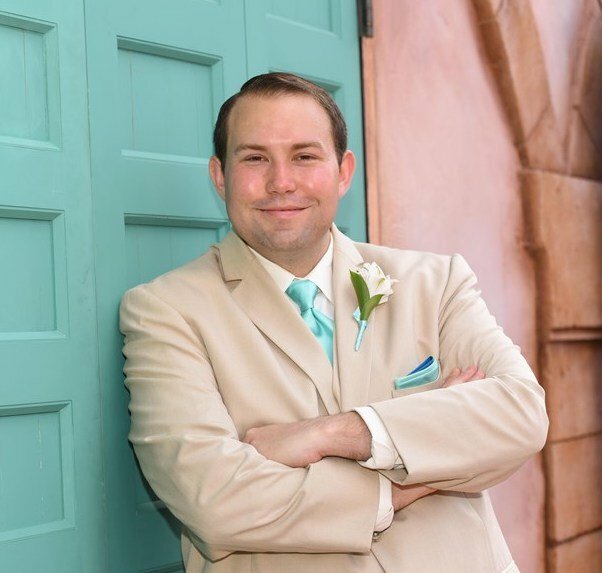 Symbols on the space you move to will dictate the actions you can take, which can include attempts to stop your opponents from reaching their goals. The rules get a little complicated because they are different for each player, but reference cards are provided for each character to make it easier to understand your own objectives. 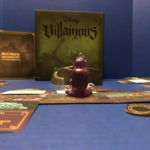 Players will want to play multiple rounds to try out all of the villains. 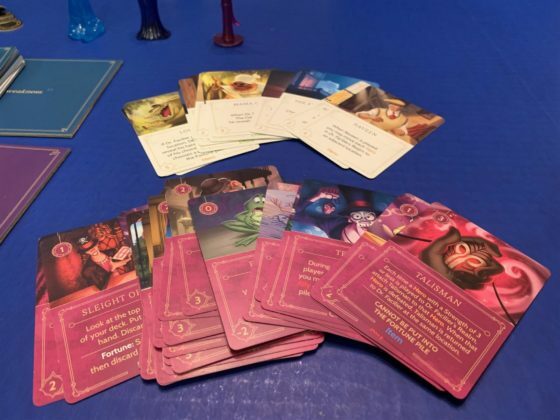 The original game had six characters and could be enjoyed by six players at a time. 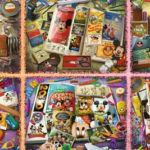 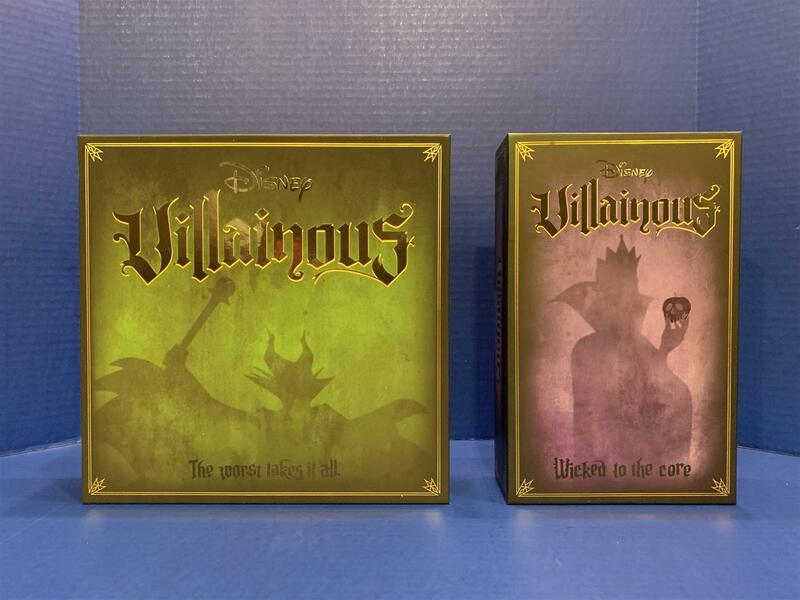 Disney Villainous: Wicked to the Core on its own can be played by three players, but when added to the pieces from the original it becomes a game playable by up to 9 players! Granted, that might get too big, with the length of time between turns becoming undesirable. 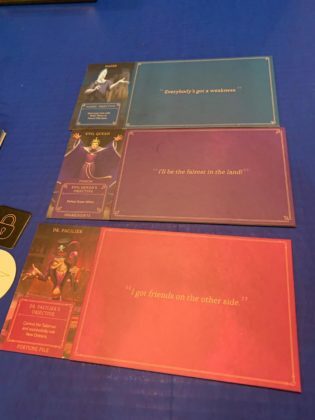 But if nothing else, it gives you more options of characters to play as. 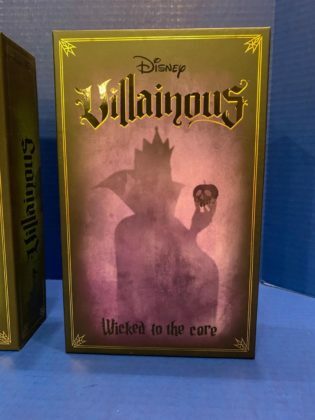 I’m a big fan of Disney Villainous and this update, Disney Villainous: Wicked to the Core, will make fans happy by adding one of the most famous villains, the Evil Queen, to the game of iconic characters. The object of the game is to be evil and wicked by thwarting other players while trying to achieve your own goals. 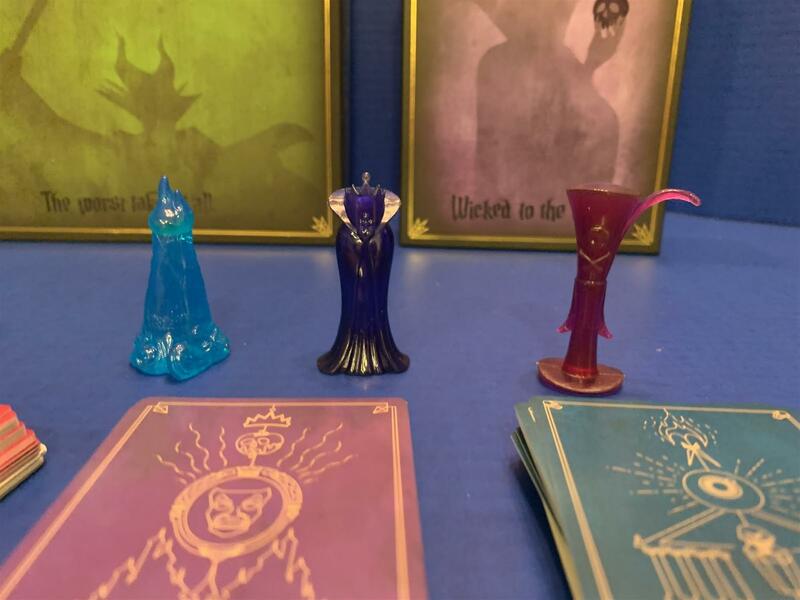 Have a wicked time!